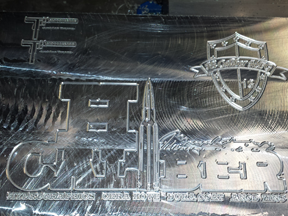 Amazing 3-dimensional CNC engraving is here. The image shows a few sample logos from our Cerakoting and Hydrographic dipping on our guns and silencers. Give us a call to get pricing on your specific application.